Wednesday, April 30 5:30-7 p.m.
Take an international adventure through stories! Celebrate languages of the world by visiting several short bilingual story time stations. Grab a passport and get a stamp at each “country” you visit. After your “travels,” enjoy snacks including pan dulce, a delicious bread from Mexico. Future engineers and mathematicians! Come develop your STEM skills with LEGOs®. Drop in to work on your creations with other builders, and give our race track a spin. We’ll supply the building blocks; you bring your creativity. The Friends of the Tigard Public Library Spring Book Sale is happening! Stop by the Burgess Community Room for used books, DVDs, CDs, and one-of-a-kind goodies. Take home exclusive treasures on Friday and Saturday. Then return on Sunday for the $2 a bag sale. The Friends use the funds to support library programs, purchase books, and other needs. 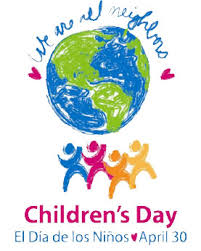 Friday, April 25, 9 a.m. to 5 p.m.
Saturday, April 26, 9 a.m. to 5 p.m.
Sunday, April 27, 11 a.m. to 3 p.m.
2014 State Children's Choice Awards Announced! The 2014 Oregon Reader's Choice Award and Beverly Cleary Children's Choice Awards have been announced!!! Now in it's 12th year, the 2014 Beverly Cleary Children's Choice Award goes to 8 Class Pets = 1 Squirrel (Divided by) 1 Dog = Chaos by Vivian Vande Velde. The award is sponsored by the Oregon Association for School Libraries and is named after long-time Oregon resident and beloved author, Beverly Cleary. The award is geared towards books at a 2nd and 3rd grade reading level. How would you like to experience the book Pete the Cat through the eyes of the author? To find more Pete the Cat books you might not have read, click here, to visit our catalog. The next time you check out a Disney/Pixar film from the library, you might find your own "Easter Egg." My daughter found Flynn Rider and Rapunzel in the coronation scene in the moive Frozen. 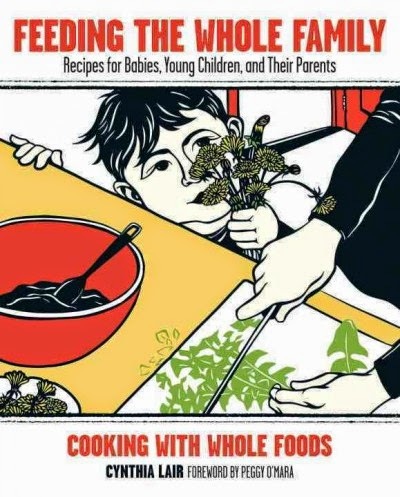 Who wants to cook with kids? I do! 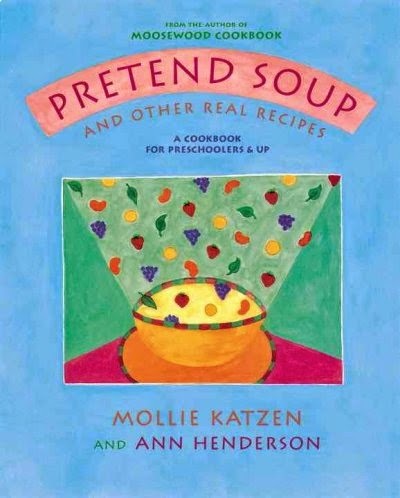 Come up with a fun cooking project! Does your kid like scrambled eggs? Muffins? Or maybe they like to play with playdough. Start with something your child is excited about. Make a grocery list together. Find a recipe, then have a conversation about the ingredients you might need to collect. The only thing more fun than writing a list is getting to cross things off! Talk about the recipe while you work. After you've gathered your ingredients, talk about the recipe out loud. How many cups of flour do we need? Let your child do the measuring. Here is a Tablespoon! Let your child hold the measuring cup or spoon. When it's full, they can tip it into the bowl. Watch it cook! After everything's stirred up and ready to go, pop it in the oven, and turn the light on, so your child can watch chemistry in action! You can't go wrong with lots of eggs and lots of butter. This amazing recipe has no eggs (all the better for licking the bowl) & maple syrup instead of sugar. Yum! 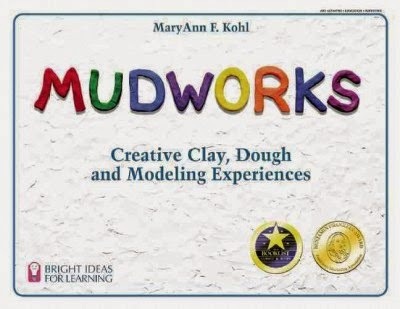 Make your own playdough. So fun. And if you really need a belly laugh, watch author John Green whip up some mac & cheese with his tyke. 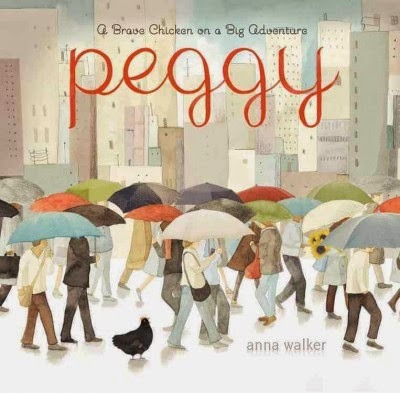 We recently added a bunch of new picture books to the collection. Here are a few favorites. 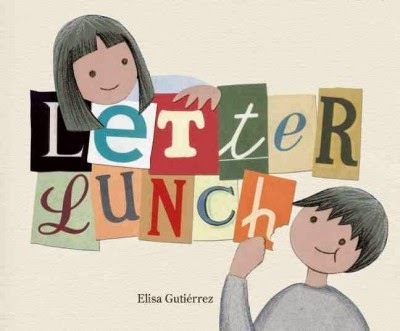 Letter Lunch by author/illustrator Elisa Gutiérrez is a wordless picture book in which the characters look for very unique ingredients to make alphabet soup. 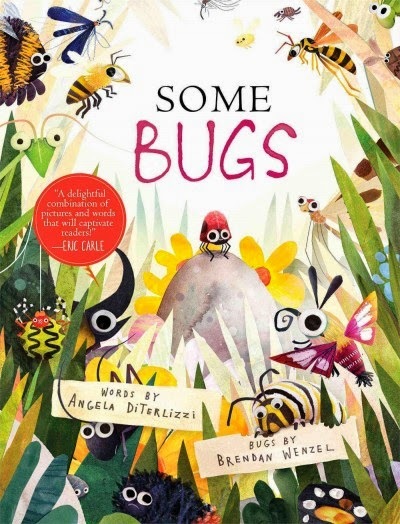 Some Bugs by Angela Diterlizzi is a visual joy of color and action all centered around bugs! 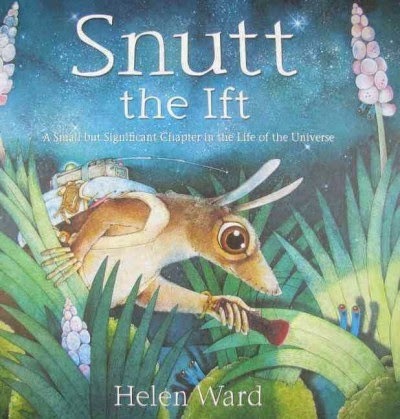 Finally, Snutt the Ift by author/Illustrator Helen Ward is a delicious experience in both words, color, and message. Each of these books contain over 100 kid-friendly math problems on topics such as jalapenos, submarines, roller coasters, flamingos, missing socks, and glitter. After spending time with either of these books, kids will discover that math surrounds them in their everyday lives. 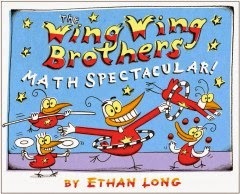 In this picture book, The Wing Wing brothers put on a show complete with their silly antics that illustrates how to compare numbers, add, and subtract. These guys are absolutely hillarious! 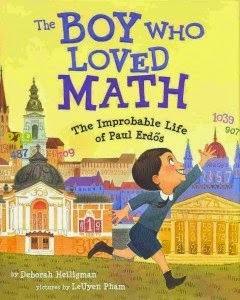 This juvenile biography tells about the life of Paul Erdos, who grew up in Hungary during WWI. He He was fascinated by numbers from an early age, and by the time he was 20, he was known as "The Magician from Budapest". 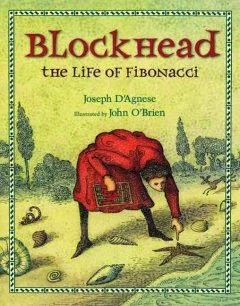 Here's another juvenile biography about a mathematician. Leonardo Fibonacci was a 12th century mathematician who discovered the numerical sequence that was named for him. 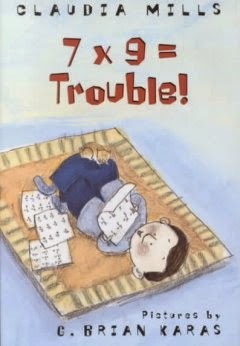 7 X 9 = Trouble and Fractions = Trouble by Claudia Mills, for ages 7 to 10. In 7 X 9 = Trouble, Third-grader Wilson struggles with his times-tables in order to beat the class deadline, which will be an ice-cream party. 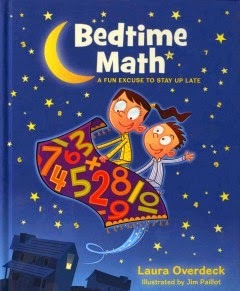 In it's companion book, Fractions = Trouble Wilson struggles with with fractions and, much to his embarrassment, his parents sign him up to work with a math tutor. These two easy chapter books are great choices for transitional readers making the leap from early readers. Colorful photographs and interactive examples introduces children to the ideas of something being possible, probable, or impossible. 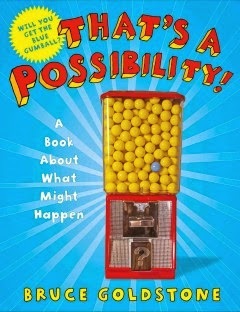 It contains easy-to-understand, fun scenarios such as dice rolling and bowling, complete with questions about probable outcomes and simple explanations. Plus the gumball machine on the front cover looks really cool too! Friends of the Library Book Sale is Coming! Yippe! Everyone's favorite time of year is approaching...The Friends of the Tigard Public Library Spring Book Sale! Mark your calendars now! Celebrate Curtis Tigard’s 105th Birthday at the Library! On Sunday, April 13 at 2 p.m. to 3:30 p.m., celebrate Curtis Tigard’s 105th birthday with the Tigard Historical Association and the Tualatin Valley Community Band. Curtis’ grandfather Wilson Tigard arrived in this area in 1852. His father Charles F. Tigard opened the general store that became the first Tigardville post office. Born in 1909, Curtis enjoyed a long banking career that began on Main Street in Tigard’s first bank. Join us for local history, period music and toasts to Mr. Tigard as we celebrate his life and legacy. Do you love to play with words? Join us at the library on Saturday, and bask in the delight of word artistry to your heart's content. You don't have to be a language expert to dabble in the poetic waters. Just come, and experiment with cut & paste missives, magnetic verses, stacks of word rocks, and more. Everyone will take home their own notebook, filled with playful word designs and ideas for future projects. Saturday April 12, 1:30-2:30 in the Puett Room. In honor of Arbor Week, I'd like to share a quote from the book Planting the Trees of Kenya: the story of Wangari Maathai. "Wangari saw that the people who had once honored fig trees and now cut them down had forgotten to care for the land that fed them. Now the land, weak and suffering, could no longer take care of the people, and their lives became harder than ever." Celebrating Arbor Week reminds us that planting trees is an important part of keeping the land healthy so that we can stay healthy. 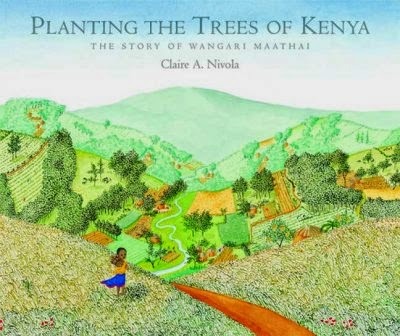 There are several picture books about Wangari's story, but to me the pictures in this book compliment the moving story of Wangari's civic responsibility, conservation, and persistence the best. If you would like to learn more about Wangari Maathai, simply click the link from her name. If you love trees and picture books, especially picture books with trees in them, you can show your love by playing our tree matching game! See how many trees featured in picture books you can match with their real tree counterparts. Turn in your answers for a chance to win a prize! This program begins, Sunday, April 6 and continues through Saturday, April 12. Winners will be called Sunday, April 13. 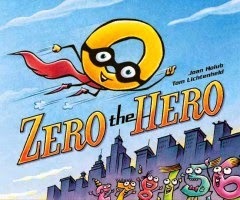 I just read two picture books that are great for building early literacy skills. And what is interesting about these two new bird birds, they are both by first time authors! Nest by Jorey Hurley provides one word descriptions of the day to day activities of a robin, as she builds her nest and hatches her baby chicks. Beautiful and clear pastel images provide meaning to the descriptive word being used, making it perfect for vocabulary development. The other is Early Bird by Toni Yuly. Here, Early Bird likes to wake up early every day so he can catch his worm. Flaunting through the yard in search of breakfast, simple text describes his actions. Then when he realizes he would much rather share his breakfast with the worm, the story takes a turn to a happy ending. Large bold illustrations and font make for a perfect opportunity for little ones to practice narrative skills where they in turn can tell their grown-ups the process of the story from beginning to end.